Thanksgiving was celebrated this past Monday, Oct 10 throughout Canada. To visit some friends and join in the celebration, I took a short trip up to Vancouver over this past weekend. While waiting to get on the plane for SFO->YVR, I pulled out my camera and managed to spot some neat stuff. It had never even occurred to me that jetliner windscreens get dirty until I spotted someone cleaning one. 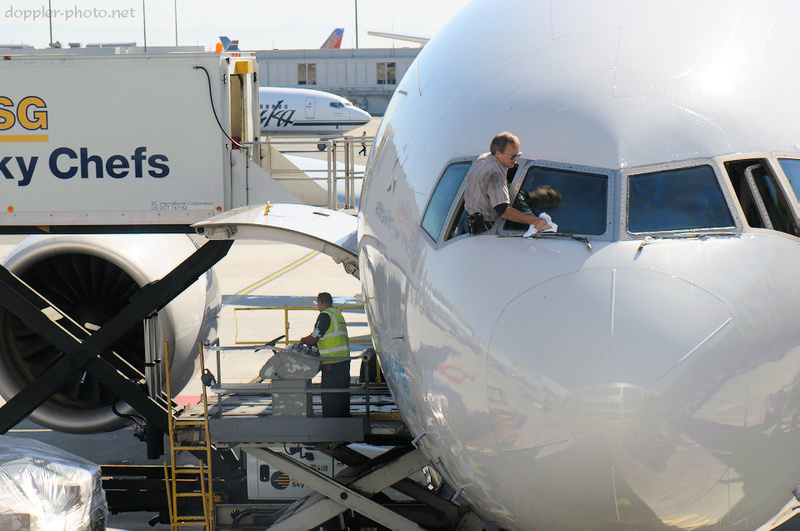 When flights are delayed and travelers are weary, it's all too easy to forget all the different folks who help turn around an aircraft as quickly as possible. In the spirit of Thanksgiving, I hope this serves as a small reminder. This is (I believe) an Asiana Airlines 777-200ER which was parked at the gate next to mine at SFO's international terminal. The windscreen cleaner used a high-mechanical-advantage handcrank to open and close the windscreens. Below and to the left, the guy in yellow is unloading bulk cargo from the front cargo hold. At the same time, folks are restocking beverages and snacks from the SkyChefs scissor truck. I believe other folks had already finished unloading passenger luggage from the aft cargo hold by the time I shot this. 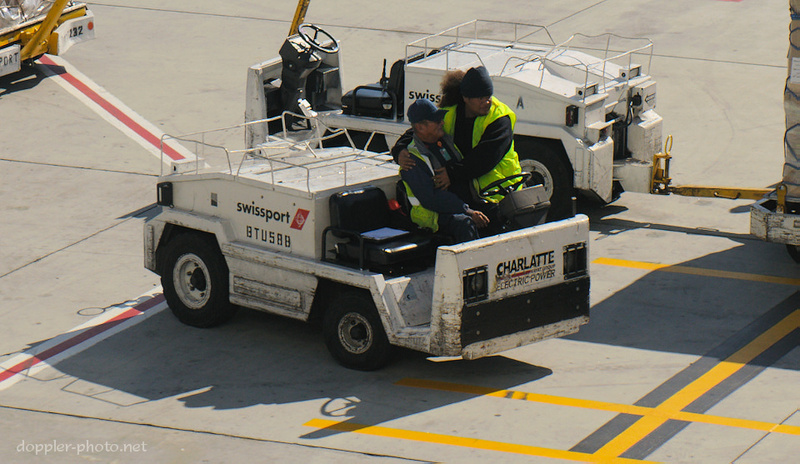 Two members of the ground crew greet each other with a hug while waiting for a bulk cargo pallet to be loaded and secured on the trailer in the top-right of the image. 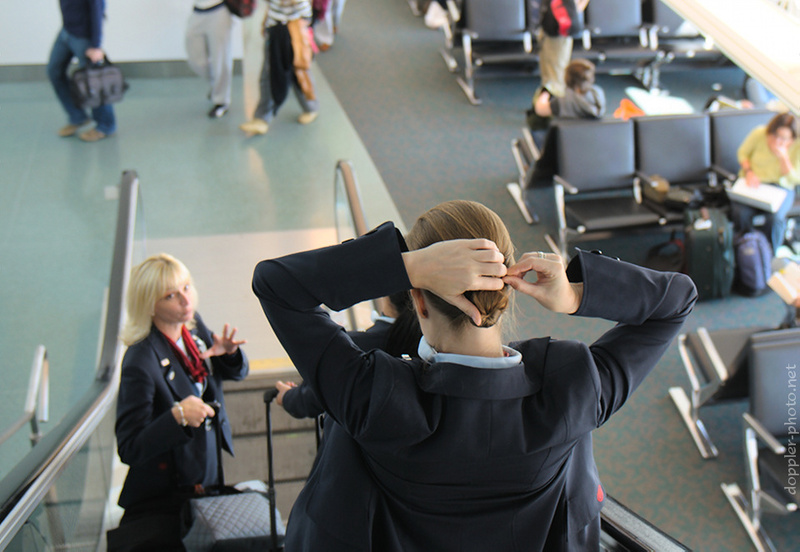 An Air Canada crewmember for my flight does her hair as she and the other cabin crew chat while on their way to the gate. Canada bound! 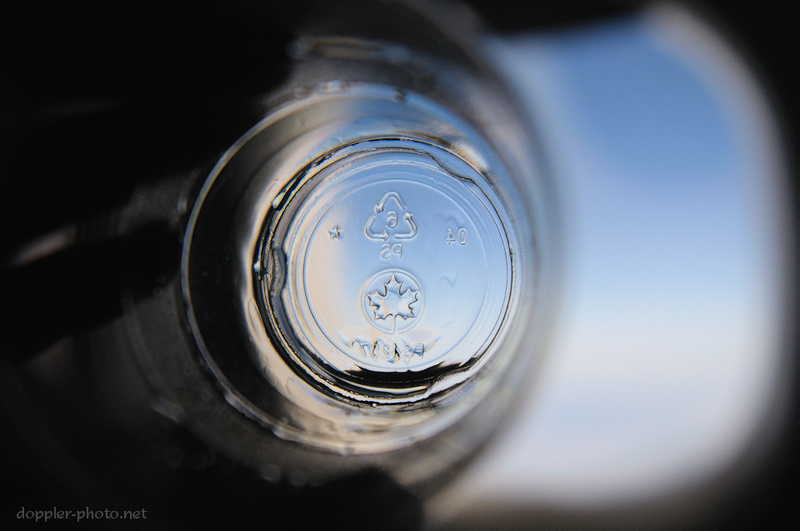 A quick photo of a cup against the sky as a backdrop. I had the pleasure to meet you at the turkey feast where my boy was chasing the two cats :) I'm really impressed with your work, you have such a talent to capture those great small moments. Subscribed!